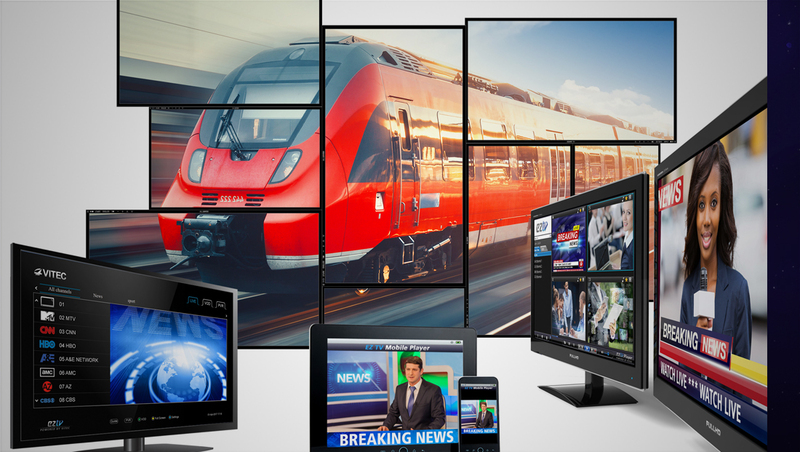 Vitec will demonstrate its broad portfolio of leading IPTV solutions for enterprise, broadcast and entertainment applications at the 2019 NAB Show, April 8-11 at the Las Vegas Convention Center. In booth SL6005, Vitec demonstrations will include its subframe and ultra-low-latency and time-sync IP contribution solutions in broadcast-grade HEVC and its EZ TV IPTV and digital signage solution. At the 2019 NAB Show, Vitec will demonstrate a host of innovations, including the MGW Ace Encoder and MGW Ace Decoder pair that delivers zero-latency contribution with 16-millisecond glass-to-glass latency thanks to the Vitec HEVC GEN2+ codec. This groundbreaking codec provides best-in-class HEVC video quality up to 4:2:2 10 bit, setting new industry standards in video quality, bit rate, and latency. Included in the HEVC contribution demo is the Vitec Playout Server, which enables high-quality, low-bandwidth and reliable contribution over the internet, leading to a dramatic reduction of operating expenses. The company will showcase MGW Ace Encoder and MGW Diamond Encoder that both feature time-synchronized playback, ensuring perfect synchronization of multiple independent IP streams using MGW Ace Decoder for house of worship, remote production, or any live application where IP streams must be played back in sync. Vitec will also introduce the MGW Ace Decoder OG, a broadcast-quality, dense, multichannel IP decoder in the popular openGear card form factor. Vitec will have a live demo of the EZ TV IPTV a digital signage solution, which is ideal for corporate, government, and sports venue IPTV and signage applications where video streams are a valuable part of the user experience. It replaces legacy systems cost-effectively, delivering a cutting-edge, enterprise-grade IPTV solution to TVs, video walls, desktops, and even mobile devices. The EZ TV IPTV platform will include high-performance endpoints with HEVC and 4K HDR support. It also includes the EZ TV Media Library, which offers powerful tools for archiving, recording, organizing, tagging, and annotating as well as for performing visual-image searches or running queries based on metadata. The EZ TV Media Library is accessible through a web interface and allows for online, realtime sharing and collaboration.